DYNAMIC LEARNING SERVICES will strive to be a leader in professional and innovative training and education for both employment outcomes for Jobseekers and business improvement for Employers and Employees. We will achieve these goals by providing solutions to our customers that enhance productivity and increase opportunities for growth. The DYNAMIC LEARNING SERVICES Team will have a “make it happen” attitude and meet our objectives through our core values: Passion, Initiative, Team-work, and Driving Excellence. Greg is an entrepreneur, innovator and businessman with over 34 years’ experience in adult education. Greg not only lectured at Newcastle University but also has been a Vocational Consultant to the NSW Department of Education and Training. Prior to his involvement in adult education, Greg spent 15 years as a high school teacher. 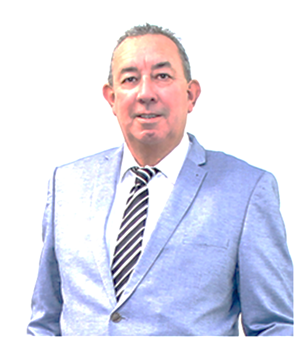 Greg has extensive experience in the adult education industry and ensures Dynamic Learning Services develops training through engagement with industry making certain training meets not only the needs of the industry but the needs of all learners.